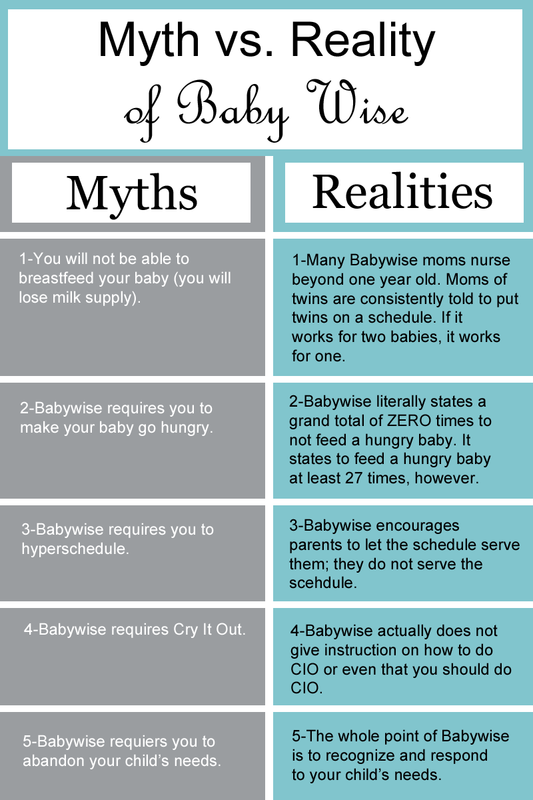 Myths versus Realities of Babywise. The truth behind the Babywise controversy. What On Becoming Babywise Really says. My first child was basically born back when dinosaurs roamed the Earth so far as the Internet is concerned. The Internet existed, but it wasn’t on the top five list of places you would turn to for information. Because of that, my husband and I happily parented him, our Babywise baby, for two years before we even realized there was any sort of controversy surrounding On Becoming Babywise . It was when my second child was born and had reflux that I looked to the Internet for Babywise help (plus dinosaurs had gone extinct, so enlightenment had begun). I wanted to know how people with reflux babies also did Babywise and I figured the Internet was just the place to find them. You can imagine my utter shock when I did a simple Google search! I was baffled. Absolutely flabbergasted. Could these people have possibly read the same book I did?!? The reality is the vast majority of people making claims online about what Babywise “says” have not in fact read the book. They have only read other people’s claims about the book. There are some, however, who have read the book, which leaves me confused. Anyway, I was in shock that day. I had loved Babywise in the two years that I had been using it. This was nearly a decade ago, and really “in those days” there was nothing but negative commentary about Babywise online. Anyone who did Babywise kept mum about it for fear of being bullied. The fear was justified. I hated that moms felt scared to share how they parented. It sad to the moms who had to “hide” how they parented. Moms who had to just smile and shrug when people said, “How did you ever get so lucky?! ?” or “What is your secret!” It was also sad to the moms who would never hear the positive there is about Babywise . The moms who would try it if not for the negative comments. The families who would benefit immensely from the program. I started this blog to get positive information out there. Slowly, over time, more and more people have been willing to be open about parenting with Babywise, and more and more people are therefore realizing it isn’t what the horror stories are made of. 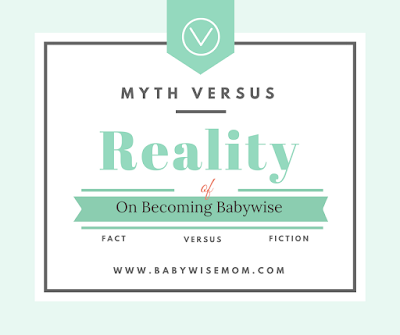 One of my first missions was to battle the myths surrounding Babywise. 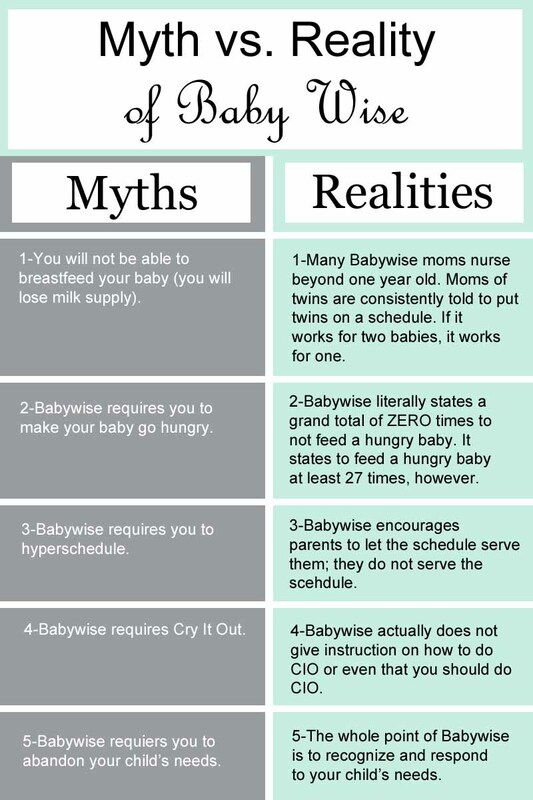 Over the course of the first four months of this blog existing, I wrote a series refuting the common myths of the day surrounding Babywise. Something fascinating happened over time. As people with Babywise spoke out more, and therefore other people saw that Babywise babies were very happy, alert, and intelligent little cuties, the myths left baby land. It was no longer “Here is the list of terrible things that will happen to your baby if you do Babywise.” It turned to “Here is the list of terrible things that will happen to your child if you do Babywise.” The baby thing had been soundly proven wrong, but the babies and toddlers of this generation of mothers were still young enough that claims could be made that as soon as they turned five or six, the child would turn into a complete mess–all because of Babywise . Enough time has passed now that I think that has started to be dampened, also. All of those babies and toddlers from 7-8 years ago are preteens and still managing to function very well in life. In fact, many anti-babywise groups died off in the last couple of years. Let me quickly note that I am in no way claiming Babywise is the answer for every family. It isn’t necessarily a good fit for everyone. That’s fine. I do not believe there is only one right way to raise a child. I am, however, emphatically saying that using Babywise will NOT damage your baby if you follow the guidelines. I am saying your child will NOT become incapable of functioning in society. I am saying I love Babywise and if I had to do it all over again, I would follow the same path. My children currently range from 4-11.5 and I have no hint of regret with the way we have raised them so far. Despite the progress over the years, there is often still great misunderstanding. 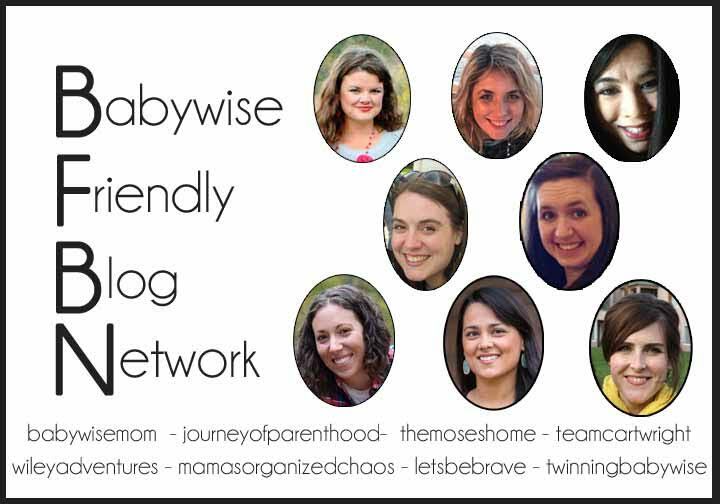 In order to shed some light on this, the ladies of the Babywise Friendly Blog Network (BFBN) and I are going to spend the week addressing some myths. 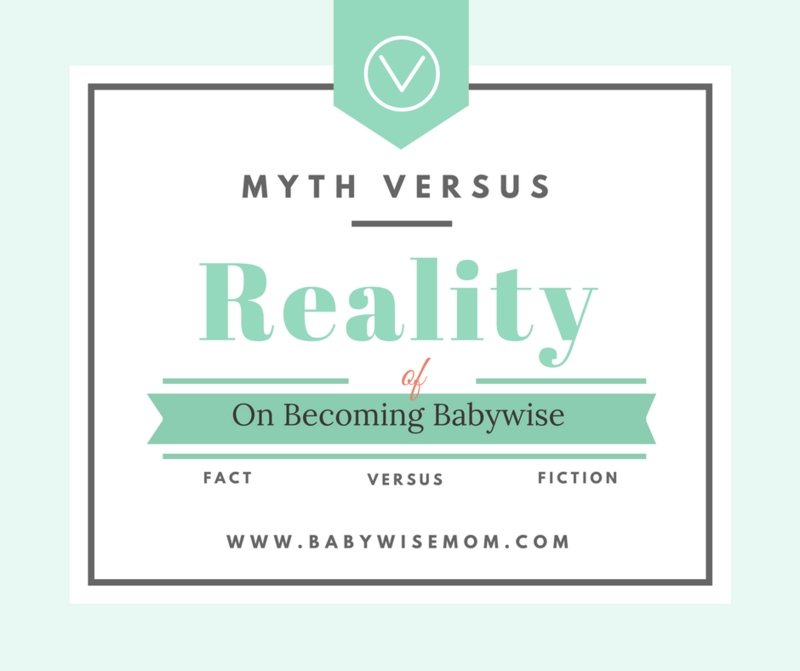 Today I want to discuss the basic myths versus realities of Babywise. I have read 100% of your posts for the past 4+ years. I find your blog very sensible. I read *your* blog because you aren't a yeller or a spanker.The *oldest* version of BW *is* different than the newest version. There absolutely were failure to thrive infants from the method. The newest version is the *only* version I can recommend with *some* hesitation. I LOVE newborns and infants, and I *want* to hold them frequently. My children are all over 5 and one is closer to 10. I *still* treasure all the time I spent holding my sleeping infants. For me, I like Secrets of the Baby Whisperer, because she mentions the vast difference in personality types and how that affects parenting. I really don't fit in anywhere because I highly value sleeping babies and children, but I also like to hold them during the day!! !My intro to BW was a mom who was holding her SCREAMING baby (3 months) and looking at the clock saying, "you can eat in 10 minutes when it's time. I know you're hungry." I'm very thankful the authors listened to the many complaints/concerns and updated the book 5? times. Books that have no issues are not updated that many times! I would like to know if there is any truth to the claim that the authors are not on speaking terms with their 2 adults daughters.